Minigarden Basic is the easiest system of Minigarden’s family to use. 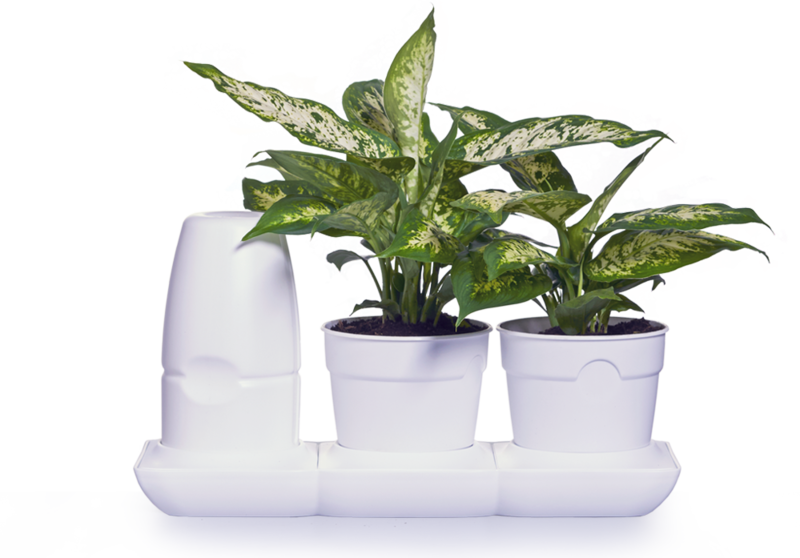 Thanks to its ingenious water and nutrients storage system, Minigarden Basic makes growing small and large plants an easy job without the usual daily cares. Trust Minigarden to provide the perfect amount of water and nutrition to your plants. Just place 2 regular pots on Minigarde Basic and watch your greens grow. Order your Minigarden Basic S Pots online from the comfort of your home.